You already know CTQ stands for Critical to Quality. CTQs are parameters that define in business words, the requirements of the customers. CTQs are very important while developing a product or service. In Six Sigma and other continuous improvement projects too, CTQ plays a critical role as the main purpose of many of these projects is to provide a product or service that satisfies the customers on various parameters. CTQ tree is a tool used to identify and list out all the customer requirements into measurable operational parameters. How to draw a CTQ Tree? 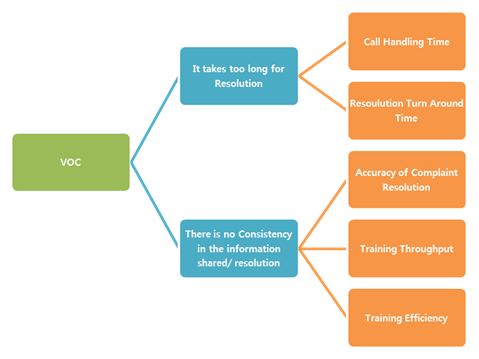 The first and primary step in deriving your CTQs is getting the VOCs and VOB (Voice of Business), as they are the founding stones of your CTQs. There are a lot of ways for this. Ex: Surveys, Focus groups, Complaint forms, direct interactions, Social Media forums, etc. VOC should be collected from all segments of customers or potential customers. VOCs collected might be very naive and raw. It needs careful business insight to be converted into requirements. A group of experts should thoroughly go through the VOCs and identify the requirements of the customers as parameters. For example, assume a company is planning to provide Call center support for resolving complaints its product lines and have collected VOC of the customers on the same. One of the customer’s VOC is “It takes too long to get the complaint resolved”. Then the customer requirement is: Quicker Resolution. Though the prioritization will not reflect anywhere in the CTQ tree, this is an important step. Not all the customer requirements are Critical or hold equal importance in the eyes of customers. There are some “Must Have” features and some “Pleased to have” features. The project team should be able to identify the different features and where they stand in the eyes of the customer. 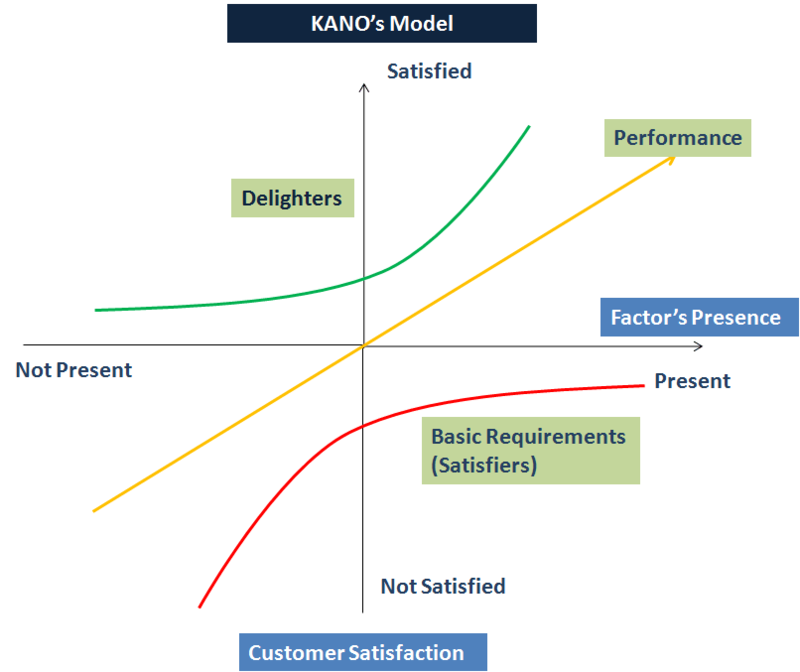 Tools such as KANO model will be very helpful for this. Here comes the core part of our activity. 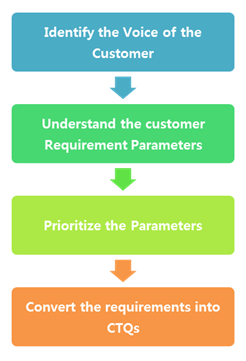 From the collected customer requirements, each of the parameter must be drilled down into measurable business parameters. The team should do this exercise collectively and religiously. Based on this, a target for each of the CTQ will be set, which will act as a guideline for the team to perform, test and validate the product/process performance against customer requirements. Column 3 represents the CTQs broken down from each VOC. The team might prioritize which CTQ should be given importance over others. They will also set a target for each of the CTQs. A typical CTQ tree should identify all the VOCs (if not, At least the major drivers), and convert all the VOCs into individual ad measurable CTQs that the business uses.